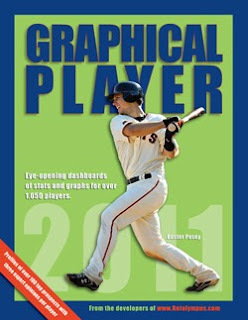 If you are looking get on an early start to your fantasy baseball draft preparation, the annual Graphical Player 2011 book is now ready. Edited by John Burnson, it is full of unique statistics, graphs and player profiles. It also includes draft rankings and dollar values, extensive coverage of top minor league players and much more. Beyond the statistical history and projections, I find the written player profiles to be particularly useful. They emphasize the likely roles and playing time for every player expected to play on a Major League Roster in 2011. I wrote the player profiles for the Tigers. Other bloggers wrote profiles for the teams they cover. Last year's book sold out pretty quickly, so you might want to take a look. You can see some sample pages here. What will the Tigers do at the Winter Meetings? Who will Play Second for Tigers?